Supplied exclusively by Radium Engineering, their Catch Can system for the Ford Focus ST includes both the PCV and Crankcase Catch Can Kit. Both kits are easily installed on existing mounting points and plumbed using existing ports. 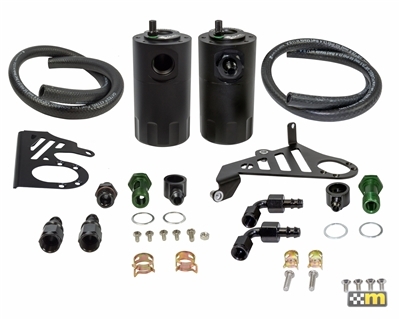 This Crankcase catch can runs inline with the crankcase breather port. At low loads it experiences atmospheric pressure, but when the engine is at high load (WOT), this hose will experience high flow out of the crankcase. This would normally lead to oil and sludge accumulation in the air filter intake pipe. Oil accumulation will occur in the intercooler which lowers the thermal efficiency properties of the heat exchanger and leads to decreased performance. This Catch Can is mounted towards the front of the engine bay. 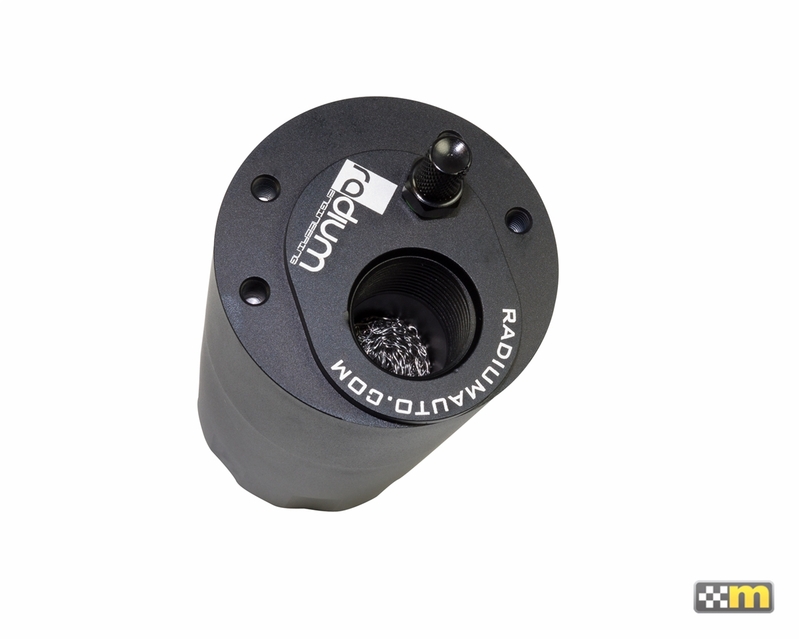 This PCV catch can runs inline with the PCV (positive crankcase ventilation) valve and retains it's factory function. When the intake manifold pressure is close to or greater than atmospheric pressure, the PCV "check" valve closes and, thus, this hose experiences no flow. Conversely, the PCV hose will experience "metered" vacuum when the engine is idling, steady state cruising, and decelerating. This would normally draw unwanted crankcase vapor, unspent fuel, and oil sludge into the intake manifold immediately after a high load run. 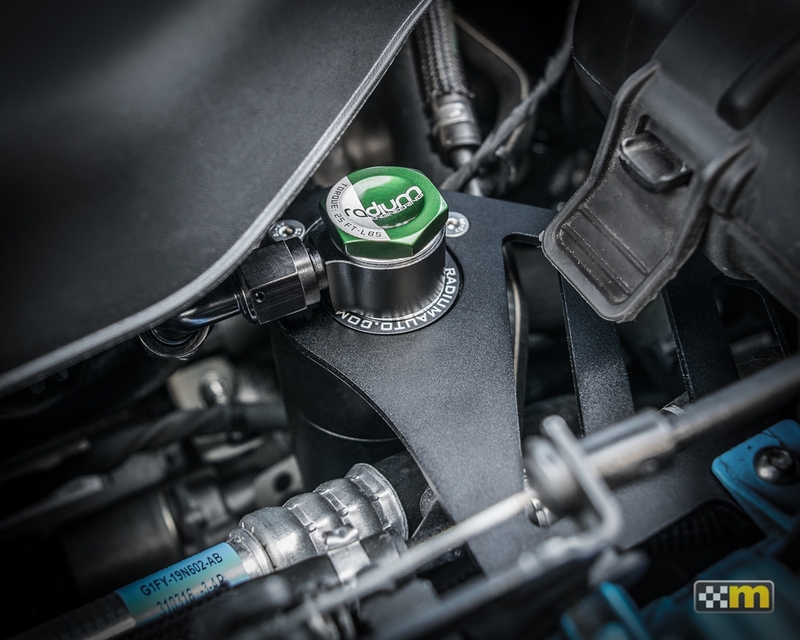 Note: Because the Radium catch cans are pressure sealed, they are great for this boosted application so intake manifold connection is permitted. This Catch Can is mounted to the back of the cylinder head. 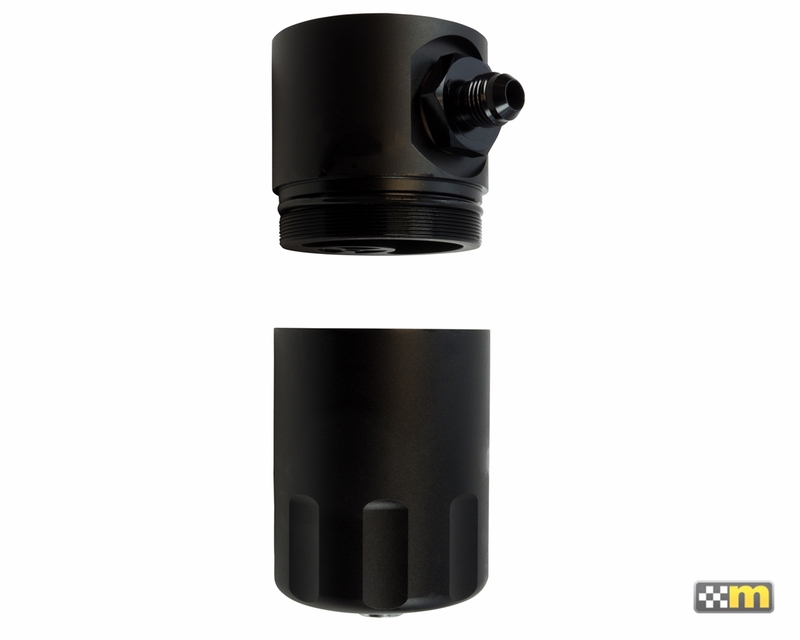 Add two of the Radium Catch Can Drain kits for easy service, click here. 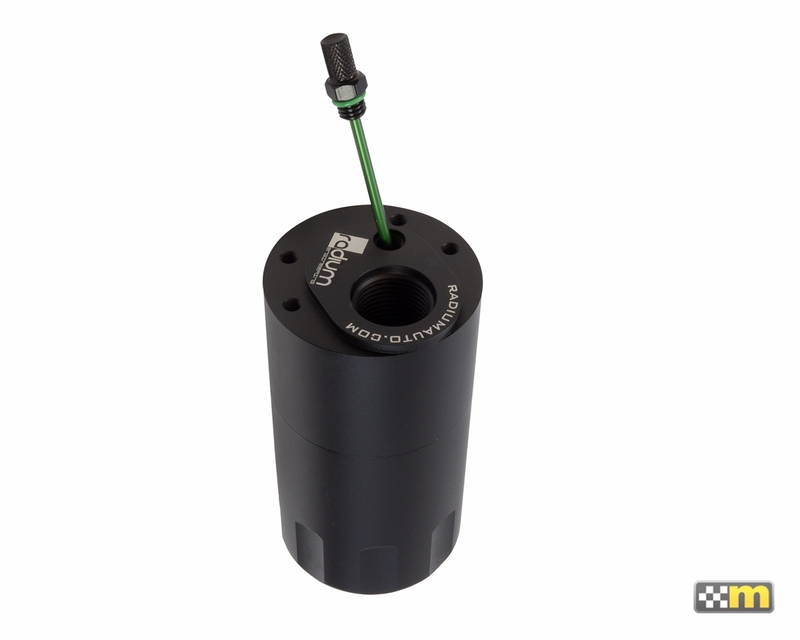 Use the Catch Can System in conjunction with our optional Engine Block Breather plate PN 2363-OBP-AA for maximum performance. Select option when ordering.